Education Law - Reed Law Firm, P.L.L.C. The process to ensure your child receives a free, appropriate education when they have special needs is not always an easy task. At the Reed Law Firm, we have experience representing children in special education law. 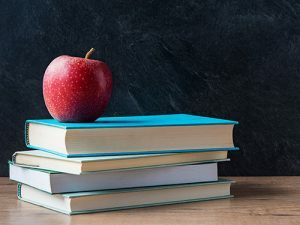 One of our experienced attorneys can help you navigate the individualized education program (IEP) and 504 process by reviewing evaluations, records, and IEP forms before you sign them; researching a specific legal issue that applies to your situation; helping you informally resolve a dispute with the school district; and assessing the strength of your case, if you’re considering filing a complaint. If you are the parent of a child with special needs, we are here to serve as your advocate-attorney. We will assist in advocating for your child to receive proper Special Education and related services as well as creative least restrictive environment solutions. The attorneys at The Reed Law Firm, P.L.L.C. are dedicated to helping children protect their civil rights and understand the support that is available to them in the school setting. Contact us today for a consultation so that we can help you consider what options are available and what might be the best choice to support your child’s needs. There is nothing more troubling than receiving a phone call from your child’s school informing you that your child has been suspended or expelled. We have experience representing children at administrative due process hearings against the school district and internal school disciplinary hearings. Additionally, we have represented parents of truant children and understand the unique needs of truant, delinquent, and neglected children with disabilities and court involvement. Throughout the process, we will provide step-by-step guidance and direct representation and legal services to the parents and guardians of students charged with criminal violations and facing school disciplinary action. Please contact us for a consultation, so that we can help you protect your child’s long-term record and seek workable alternative solutions with the school district.